Muhammad Usman also known as Khalid Al-Barnawi, leader of Boko Haram splinter group, known as Jama’atul Ansarul Muslimina Fibiladil Sudan, has been arraigned before the federal high court in Abuja along with six others. The accused persons pleaded not guilty to all the eleven count charge. Gen Gowon Attends Martha Audu’s Burial. The remains of the first Northern Female Voice in the Broadcast Industry and sister of Nigeria’s former Head of State, General Yakubu Gowon, Kande Martha Audu has been laid to rest in Wusasa Community Zaria, Kaduna State. The Corps Marshal of the Federal Road Safety Commission, Dr Boboye Oyeyemi says FRSC is determined to enforce strictly the use of speed limiter device. It was reported that the Corps Marshal gave this indication during his duty tour of Osun State. Nigerian independent, Oranto petroleum, said it is investing $500 million to develop south Sudan’s block b3, launching a comprehensive exploration campaign starting immediately. The Ministry of Petroleum and Oranto Petroleum Company, South Sudan, signed the exploration and production sharing agreement (EPSA), for the block last week in Capital City of Juba. The 2017 seasonal rainfall prediction by Nigerian meteorological agency shows an annual rainfall ranging from 400 millimeters in the far north to about 3100 millimeters in the coastal areas, signaling a shorter length of farming season for most part of the country. The prediction also shows weather implications for health, electricity and other sectors of the economy. Minister of Power, Works and Housing, Babatunde Raji Fashola, has expressed optimism that the Naira 702 Billion recently injected into the power sector by the Federal Government would tackle liquidity challenges being faced by the generation companies, GENCOS. Fashola explained that part of the liquidity problems facing the GENCOS was the inability to pay gas suppliers. Fashola further stated that Nigeria bulk electricity trading, NBET, would pay GENCOS for electricity generated as a deliberate step to improve their confidence and that of intending investors in the sector. According to him, ‘‘the plan will not immediately solve the problems of the power sector or produce overnight the electricity that has eluded us for decades, but will bring some stability to the production side of the power value chain and also give confidence to investors who want to come in and who are concerned about how to recover their money.’’ Fashola went ahead to say said that subsequent complimentary interventions will ultimately seek to strengthen financial transparency to ensure that industry revenues are fairly distributed to all market participants and their suppliers according to contractual commitments. During a quarterly meeting with all registered political parties, the INEC chairman, Professor Mahmoud Yakubu stated that about eighty-six associations are currently seeking registration as political parties before the Independent National Electoral Commission. 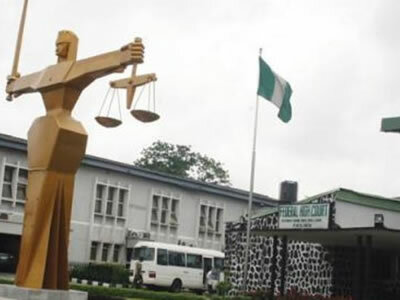 The 23 officials of the Independent National Electoral Commission INEC accused of being complicit in the Rivers State rerun elections are now to be charged to court on the 7th of April. The initial plan to arraign them before the Federal High Court could not hold on Tuesday due to the objection on the jurisdiction of the court. Office of the National Security Adviser in collaboration with the Nigeria Stability and Conciliation Programme have held a validation forum to further tackle security threats in the country. The meeting was also to develop a policy framework and national action plan on preventing and countering violent extremism. Issues relating to national unity, stability and socio-economic development of Nigeria took center stage as President Muhammadu Buhari granted audience to presiding officers of the National Assembly. It was their first formal engagement since the president returned from his vacation in the united kingdom.